A dental cleaning is a professional cleaning that is exclusively conducted by a certified dental hygienist. While you may be faithful about brushing at least twice a day and flossing at least once, even with the best at home techniques, there are still areas that you are likely to miss. Twice yearly dental check-ups and cleanings help detect problems when they are small and easier to treat. Left unattended, small treatable problems become worse and may require more extensive, expensive procedures to repair. That is where we come in. We perform a thorough cleaning, where we can get as much bacteria and damaging substances off your teeth and gums as humanly possible without damaging them. We are skilled and have the best technology to do so without pain or hassle. • Tartar from teeth surfaces. Tartar, or calculus, is plaque that has become hardened on the teeth - its removal requires scaling. Some patients will require a deep cleaning due to gum disease and past periodontal treatments. Our doctors and hygienists will review your health history, your past dental history, and identify any issues you may need treatment for. One task as a hygienist is to safely remove all plaque, and tartar (calculus) from your teeth. Bacteria thrive on these substances and consistently attack and wear down your teeth. They also leave waste behind that leads to decay and infection. Getting rid of their food sources and habitat means not only a healthier smile but a healthier whole body too, as the bacteria likes to travel and lead to other issues such as heart disease or strokes. We may also use a scaling or root planing method to ensure that we get all of the problem areas cleared out. Once that is complete, we take the time to polish your teeth. Polishing assists with the removal of most surface stains, and remineralizes your teeth. This helps brings out the natural shine and whiteness of your teeth. You will leave with a sparkling smile. Is That All We Do? When you come in for your cleanings, we will also perform a comprehensive examination which includes a cancer screening, an examination to find surface/visual decay, cysts, gum disease, gum pockets, and the use of x-rays to detect rising problems below the surface. X-ray examination assists in detecting tooth decay, cysts, tumors, problems below the gums and other hidden issues. 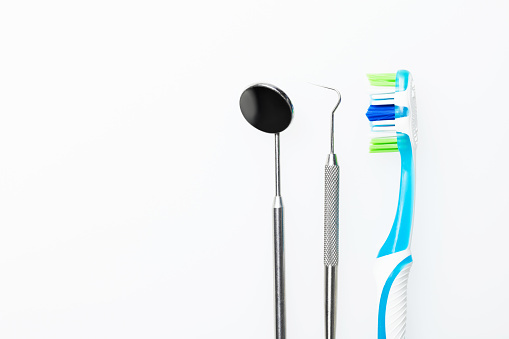 Cleaning is important, but the checkup will include even more benefits for your oral health. 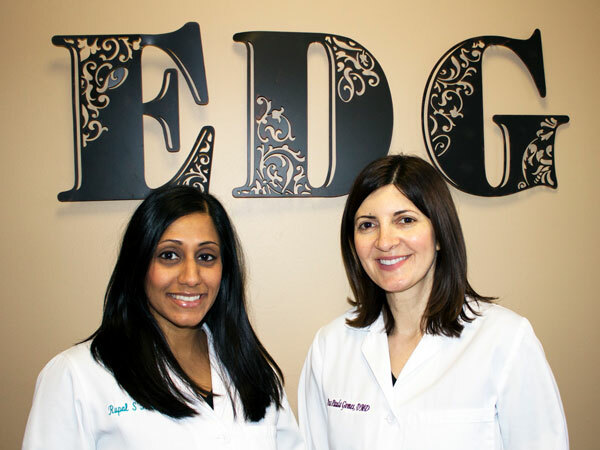 It is essential to keep up with each and every scheduled check-up here at The Elmwood Dental Group LLC, so that we can help you to keep up with your oral health. We want your dental happiness and health to last for a long time. Schedule an appointment today and let us take care of you! We use ultrasonic scalers for some adult dental cleanings or when someone may have braces. These devices use ultrasonic vibrations to help break down the plaque and calculus, also known as tartar, on the teeth. The ultrasonic cleaners create microscopic bubbles that implode on the surface of the tooth, killing microbes and removing plaque and tartar in the process. Our instruments use a thin tip to better navigate in the periodontal pockets to help maintain optimal gingival health. The procedure uses water and/or an antimicrobial liquid. Removing tartar buildup in hard-to-reach areas, with no damage to the tooth enamel, an ultrasonic scaler uses less pressure and can be more suitable to those with sensitive teeth. The cleaning process is faster than manual scaling, making your visit more comfortable.